If I was stranded on a desert island and could only have one TV show, it would be Gilmore Girls. Besides having the best looking food on TV, Amy Sherman-Palladino, Lauren Graham (@thelaurengraham), Alexis Bledel and Kelly Bishop can make any situation relevant, dramatic and funny – even fish. When Richard (Edward Hermann) has a heart attack in episode 13 of season 7, Emily blames the lack of fish in his diet. Is this valid? Perhaps. It is a bit of a windy road . . . There are risk factors for heart blockages or coronary artery disease (CAD). Some you can’t control: age, family history of CAD, and gender. Some you can control: high blood pressure or hypertension, diabetes, high cholesterol and tobacco use. There are changes you can make to your diet to improve your cholesterol levels. You can lower your LDL cholesterol by decreasing the saturated fats in your diet. You can increase your HDL cholesterol with exercise, stopping tobacco use and eating more fish. Fish are high in omega-3 fatty acids which can increase your HDL cholesterol and lower your triglycerides both of which help prevent heart disease. So Emily was kinda right. As she was before. And as she probably will be again. 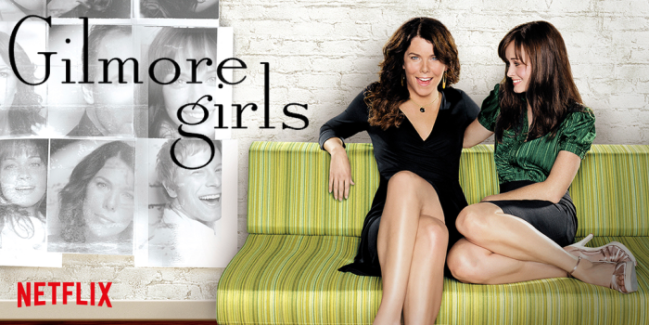 I CAN'T wait to see Gilmore Girls: A Year in the Life and find out.